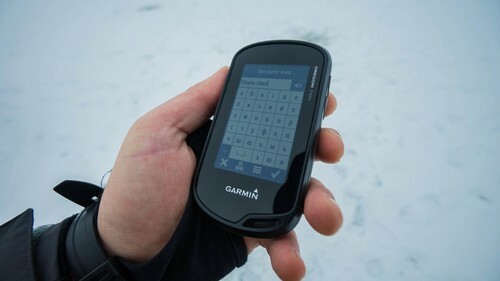 This winter my hands got tourist navigation Garmin Oregon 750T. I have long wanted to have in your Arsenal of GPS-Tracker, but could not determine the choice. And now, finally, it happened! I bought the long-awaited device and immediately went to use it for other purposes. In my article, I would like to highlight the technical characteristics of the device, to tell what he knows and how to apply it in practice. So, let’s begin! What do we have in the kit, buying Oregon 750t? 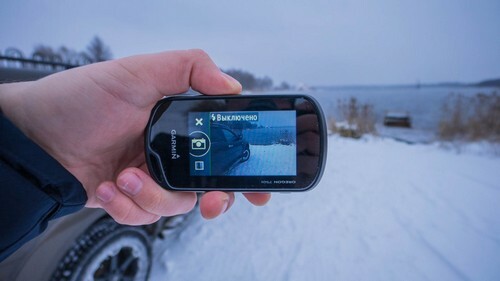 The device has the size of an average smartphone and is equipped with a touch 3-inch display easy to use with one hand, it fits in any pocket and does not cause discomfort. 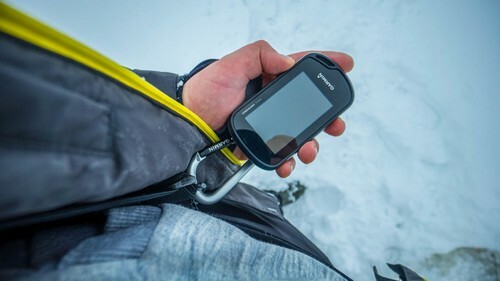 Carry in your pocket it will have only winter, so it does not freeze, and at temperatures above zero is very convenient to attach its clip to a belt, backpack or Fanny pack. Operating temperature -15 to +70 ° C. unit Weight — 210 grams. 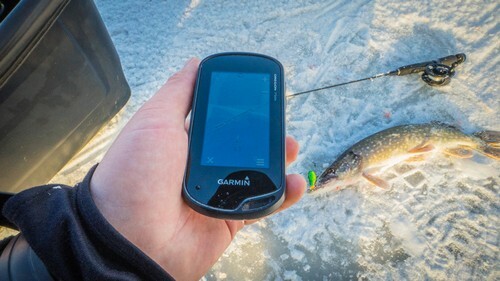 The touch display is quite responsive and works even when the fingertips of thin gloves. 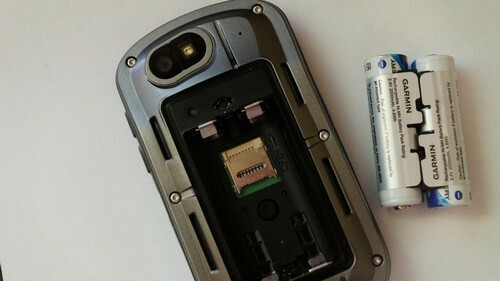 I would compare sensor work with Samsung smartphones in the medium price range. On the device only two buttons, one turns on the device, and the second allows one click to mark the point at which you are. The device works from AA batteries that are included. This is very convenient because prolonged campaigns to bring ordinary batteries and put them in the right moment. Enough of batteries up to 16 hours of operation. The case looks quite secure. When you hold it in your hand, you realize that it is not a fragile phone, but the real “battle” companion. The class of security at the Oregon IPX7, which allows you to prevent accidental immersion in water to a depth of 1 meter and up to 30 minutes of being in it. After switching you get into the settings menu, where you need to select the mode in which it will work. 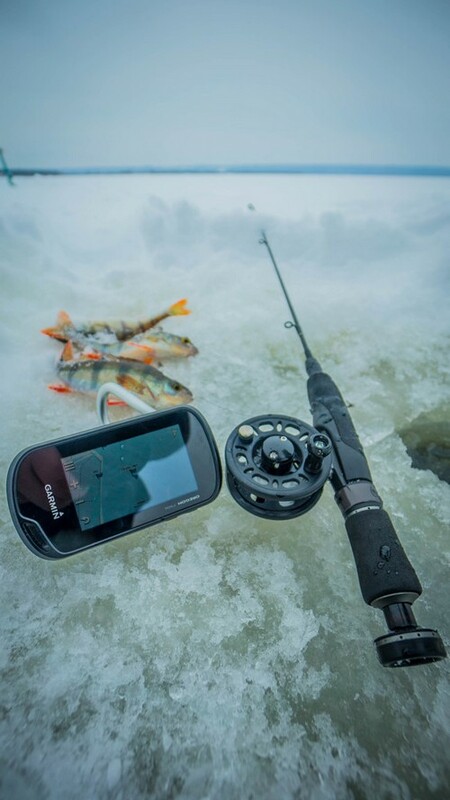 I chose the mode of “Fishing”, there are also modes of “Hunt”, “Walk”, “Bike” and others. In the system settings menu, you can really fine-tune display cards and menus. Before proceeding to the study of navigation, I would like to tell you about the most interesting applications. “Notice” : if you raft along the river and took the phone. but you need to keep track of important SMS and calls, you can phone to the Navigator and receive notifications, this will help you a built-in Wi-Fi and Bluetooth. 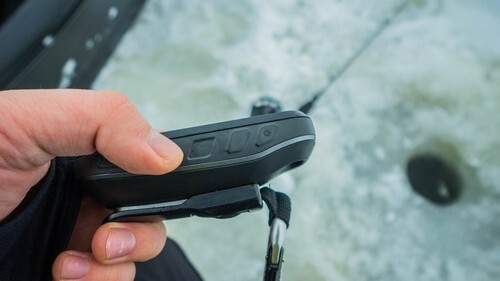 In the same way you can connect some Garmin devices, such as action camera: Oregon will act as the remote control. “Connect IQ” : allows you to download additional applications, like PlayMarket or AppStore. “Weather”: if you connect the device to the Internet, you can track the weather in your area. 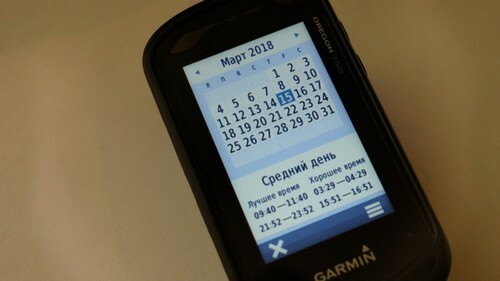 With this app well, for example: “Calendar of hunting/fishing” and “Information about the Sun/the moon” that work without Internet. After analyzing the testimony of these applications, it is possible to draw some conclusions about the bite. Camera: 8 megapixel with auto focus and flash. If you take a snapshot, it is automatically marked on the map with the exact coordinates, which is very convenient. “Companions”: you can track number of satellites and signal reception. As for the GPS/GLONASS, that I would like to mention his high sensitivity: it quickly locates even in dense forest, far from settlements. 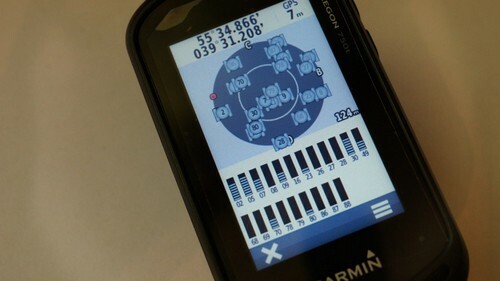 Also the device is equipped with sensors 3-axis compass with accelerometer and barometric altimeter. In addition to these applications, have Oregon there is also such standard features like a flashlight, calculator, stopwatch, alarm, calendar. Built-in memory 4 GB used for additional maps BirdsEye and Custom Maps, photos, and allows you to score up to 10,000 waypoints, routes up to 250 up to 250 stored tracks, a route. If you want you can use a memory card up to 32 gigabytes. Now consider the use of the device in practical conditions. Imagine that you are trapped in an unfamiliar body of water. On the shoulder you hanging tackle box in one hand drill, and the other the Navigator. 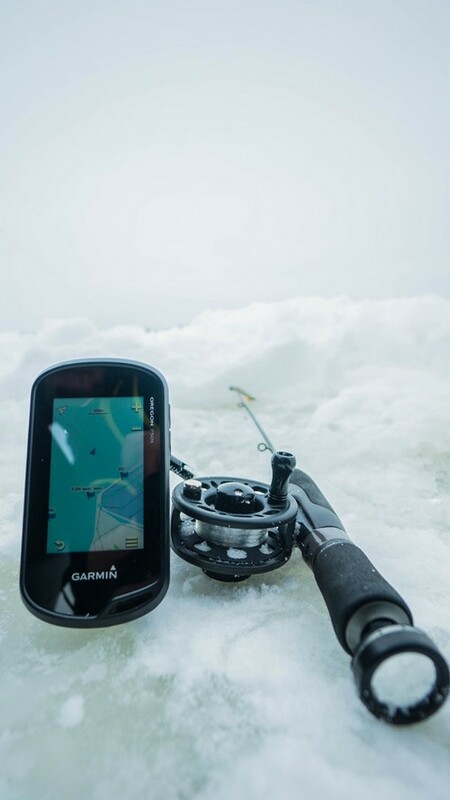 After reviewing the map of the depths, we find a hole, drop-off or hill — the most promising places for fishing. Trying to catch a predator and take the rod with blazenko. Drill holes on the top, and then in a circle overleven stall and check it for the presence of fish. For example, we had a bite, we caught a fish or caught on a snag. Immediately take the Navigator and note the point, and the description and the title can indicate what exactly was in this place. In my case, it was the perch that stood in the stall — note the point of “Bass drop off”. Polovin small perch, we want to find some bigger walleye or pike. Looking at the map the pit. By the way, we can measure the distance from our location to her. Come to the pit (background depth of 4 meters, in the pit, 6.3 m). Exactly the same as on the previous point, first overlevel the middle, and then go to the slopes, there are always the “cream”. Put some highly noisy, rattlin and try to catch a trophy fish! After some time we have a bite, fish on the hook! Vivarium her with a depth of 6.3 meters and get so much pleasure! Our mission is accomplished, the fish is caught! Be sure to note the capture on the map to return to this place for the next fishing trip. In the summer we can check this point with the boat. Of course, the fishing went much longer and was proven no point before the fish was caught. 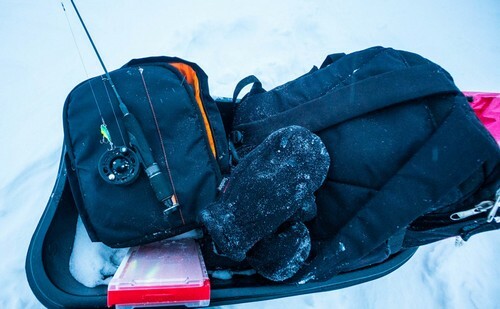 In the practical part of the article I wanted in the first place to show the essence of the instrument and its importance in the Arsenal of every angler. I hope this article was useful not only to those people who have never used such devices, but also those who they already have. Thank you for your attention, friends! 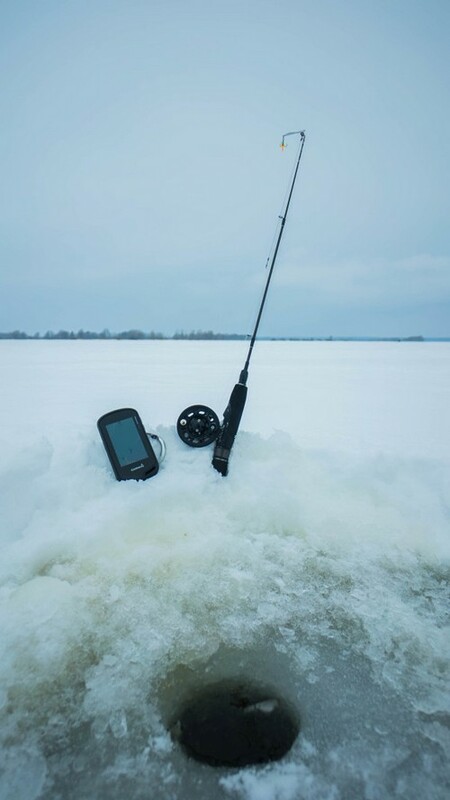 Fishing in the winter. The danger of thick ice.